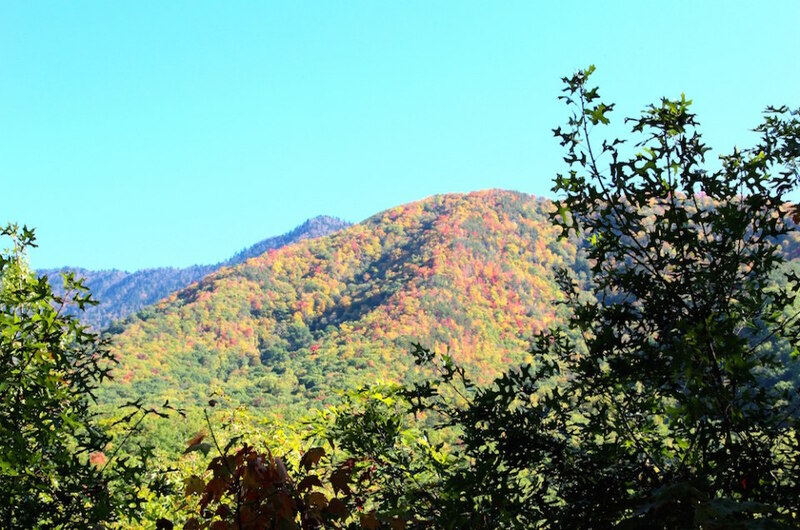 When you think Gatlinburg, Tennessee, what comes to mind? Perhaps the only ski resort town in Tennessee. Or more likely, it’s proximity to Great Smoky Mountains National Park or nearby Dollywood. However, Gatlinburg is so much more than a gateway destination. Brimming with outdoor pursuits all their own, here are a few off-the-beaten-path adventures, perfect for a quick autumn getaway. Fall foliage drives. It should come as no surprise that Great Smoky Mountains National Park is one of the best places in America to view fall foliage. From Gatlinburg, it’s mere minutes until you’re weaving through a brightly colored canopy of trees on Highway 441 South. Some of the highest peaks on the east coast run along this route, such as Clingmans Dome, Mount Guyot, and Mount Le Conte, all towering above 6,000 feet. However, it’s the pull-offs and smaller roads that offer some of the best views, secret spots that’ll feel like your own little world. One of the best I found was Newfound Gap, which has a large parking area and offers panoramic views across Tennessee, North Carolina, and the Great Smokies. The road to Clingman’s Dome is also off Highway 441 and boasts the tallest peak in the park. 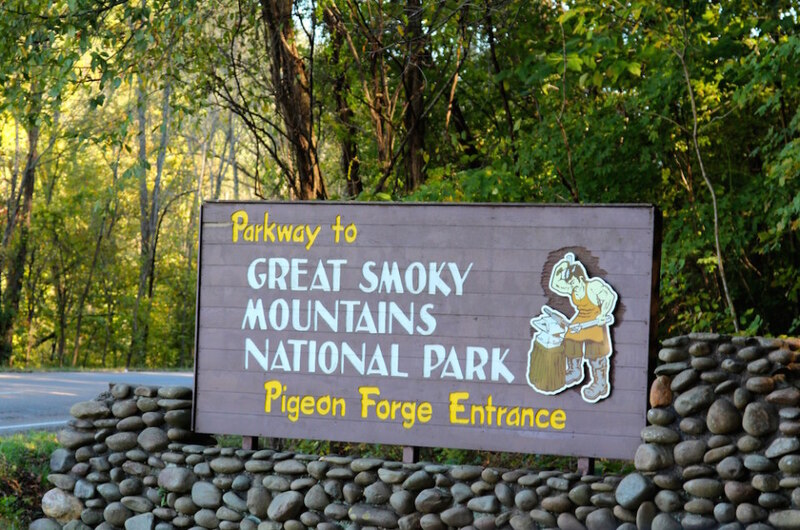 From the parking lot, it’s a 10- to 15-minute walk to the observation tower, which offers 360-degree views of the Great Smokies and beyond. Fly Fishing. Just how good is the fly-fishing in Great Smoky Mountains National Park? On the half-day excursion I took, I caught numerous fish and was getting bites the entire time. And did I mention it was my first time? Gatlinburg is unique in that you can actually walk to a number of streams right from your hotel, but being a newbie, I went with a guide from Smoky Mountain Angler, excited to get some expert instruction. After a short 10-minute briefing, I was casting my first line and within 15 minutes, had caught my first fish, a nice-sized rainbow trout. We tried a few spots within Great Smoky Mountains National Park, which has nearly 3,000 miles of streams. I’d recommend going with a guide, since only about 20% of the waterways can support trout populations and they know all the best spots. Off-beat hiking trails. Just miles from Gatlinburg are a number of well-marked trails in and around the Great Smoky Mountains, ranging from great waterfall hikes like Grotto Falls (which you can actually walk behind) and Laurel Falls, to lengthier treks with great panoramic views, such as Mt. LeConte. However, beyond these hikes (which can often get crowded in the fall), there are some great-guided hikes on many of the less explored paths. Smoky Mountain Guides provides guided half-day hikes with overlooks to full-day expeditions past caves and waterfalls. The half-day hike I went on was what I like to call the “Moonshine Trail,” and weaved past ruins from the 1800s, including caves and former homes where moonshine was secretly brewed. This was a standout of my trip, in part, because I never would’ve found it on my own, but moreso because I never would have known the story behind it, as many of the local hiking trails are steeped in history and urban legends. Horseback riding. As I found out on this trip, there’s horseback riding, and then there’s horseback riding along the ridgeline of one of the most incredible national parks in the country. 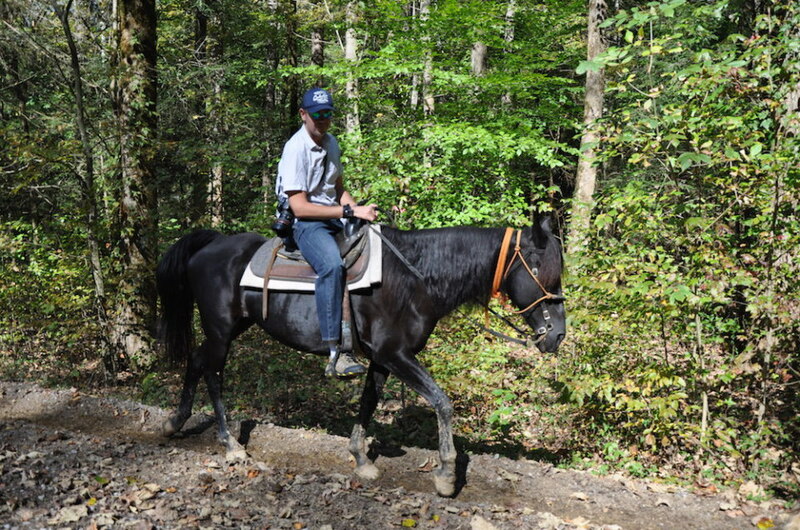 Just off the bustle of Gatlinburg’s main thoroughfare is Sugarlands Riding Stables, which has provided horseback rides through the Great Smokies for decades. I opted for the two-hour, eight-mile ride, which weaved past streams deep in the woods, and was treated to a number of unobstructed views I couldn’t have gotten anywhere else. For less experienced riders, there are also 60- and 90-minute rides to get a feel for the region.